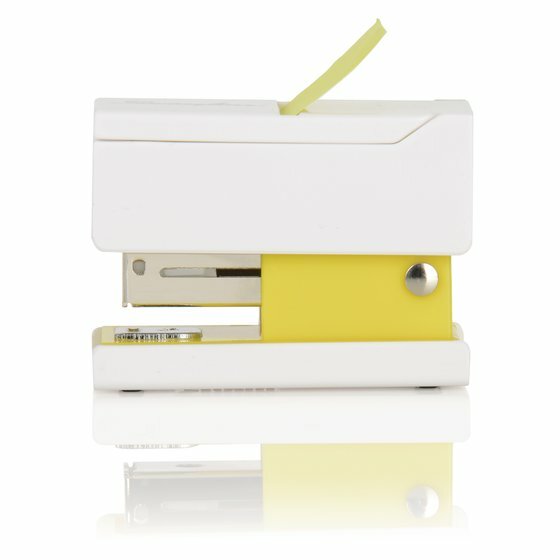 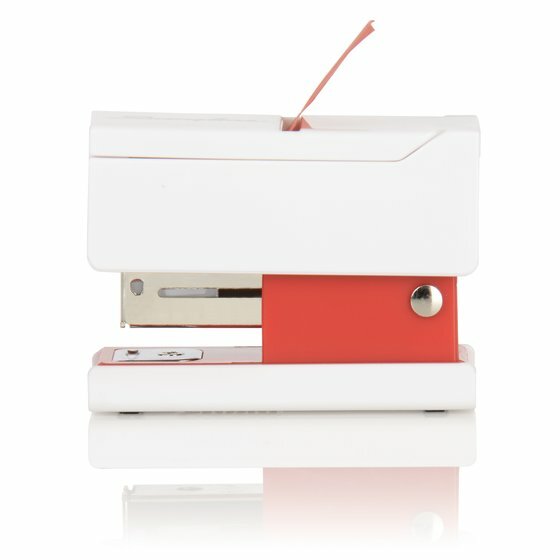 Combining two useful functions into one, this mini stapler has a flag dispenser top. 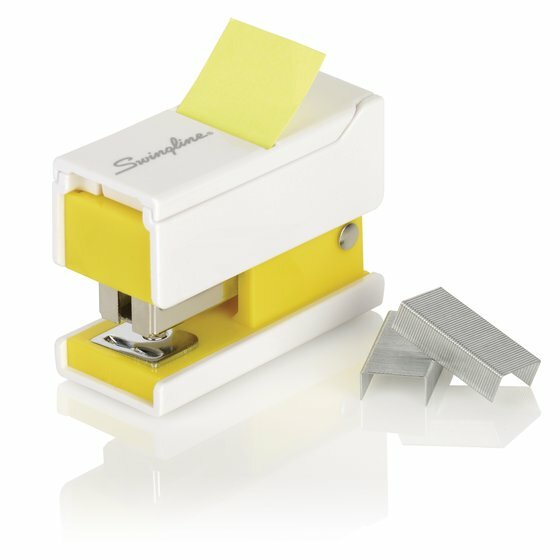 Meets daily stapling needs and also makes it quick and easy to mark passages and staple your printed documents. 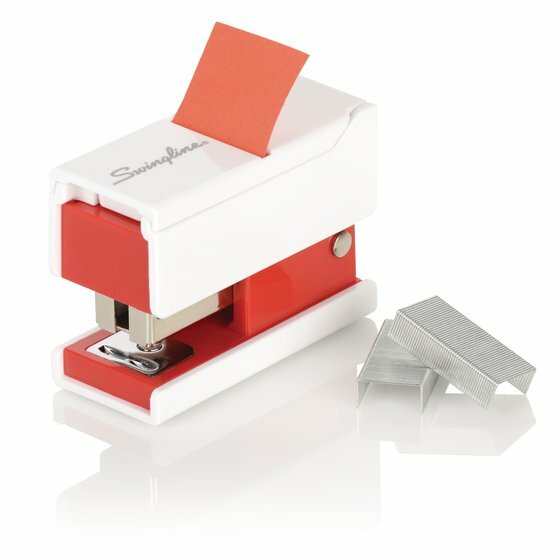 This miniature stapler is an ideal choice for school, work or home. 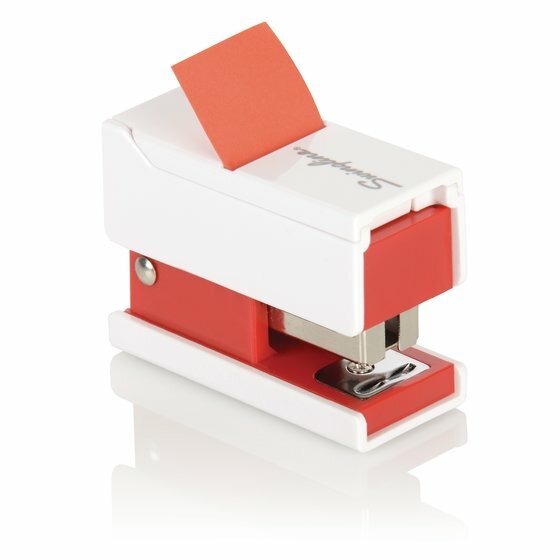 It has a unique square shape so that it stands or sits flat on your desk and hardly takes up any space. 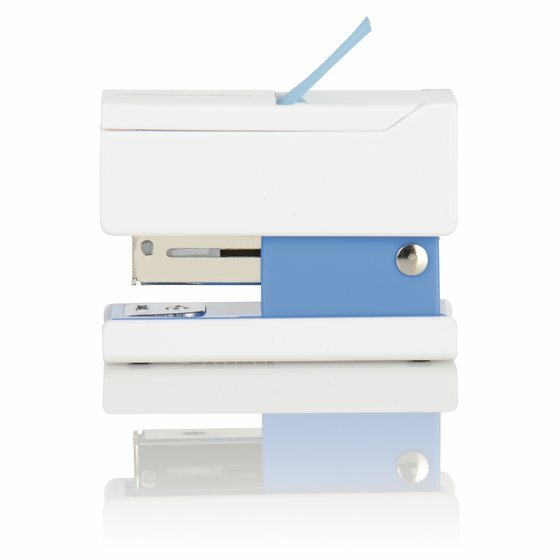 The mini size allows you to toss it in a backpack or laptop bag to take on the go from place to place and the protective cap will keep the flags secure and ready to use. 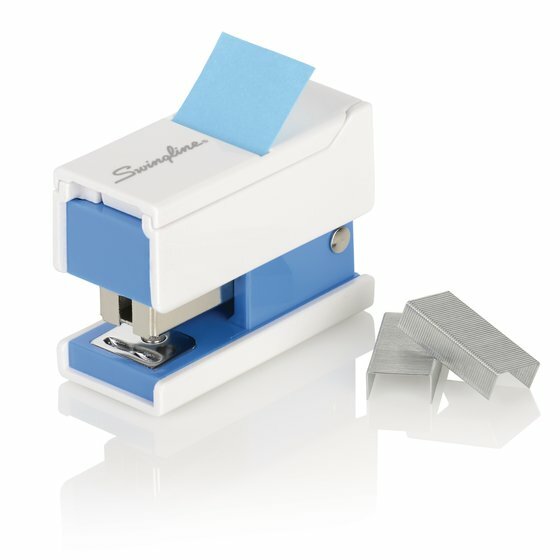 Works with regular size staples and comes pre-filled with 100 Swingline® Standard Staples. 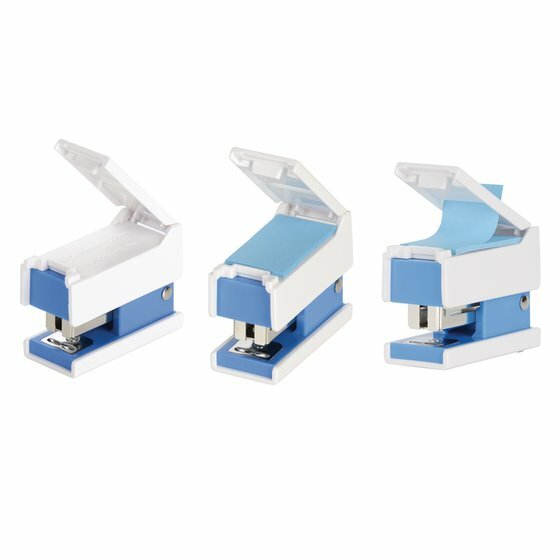 The top of this stapler flips open to reveal a space to store paper flags. 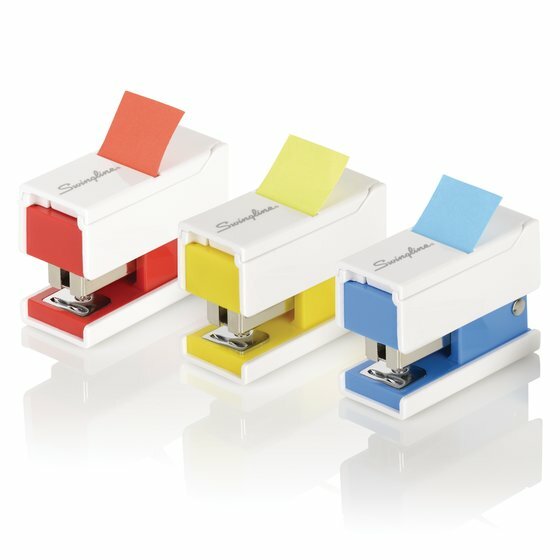 When closed, the top works like a dispenser, keeping the flags ready at all time. This mini stapler comes pre-filled with 20 paper flags that match the color of the stapler. 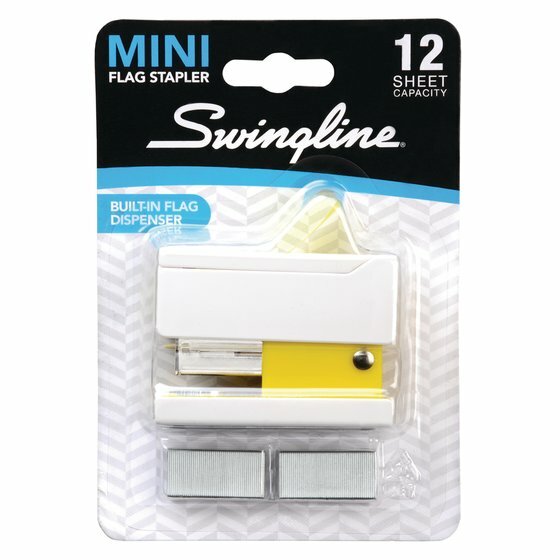 It can be refilled with Post-it® 1” wide flags or two side-by-side sets of Post-it® 1/2” wide flags. 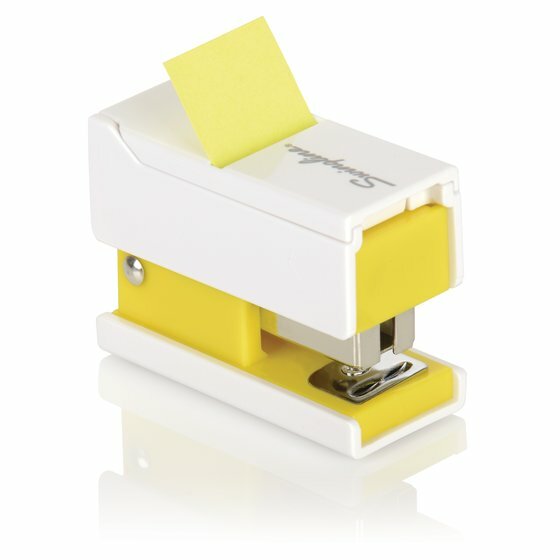 It’s the perfect solution for highlighting as you work without having to stop and search for a sticky note.